VIP TRANSPORTATION GROUP specializes in providing premium chauffeured transportation arrangements to all segments of private and corporate aviation clientele. We continually track your private flight directly with both the FBO and our state-of-the-art FAA software that provides real-time updates on flight progress and arrival time. This allows you to relax and know that – when you step from your aircraft to the tarmac – your chauffeur will be in place, ready to greet you and deliver safe, luxurious, and dependable service that consistently exceeds expectations. 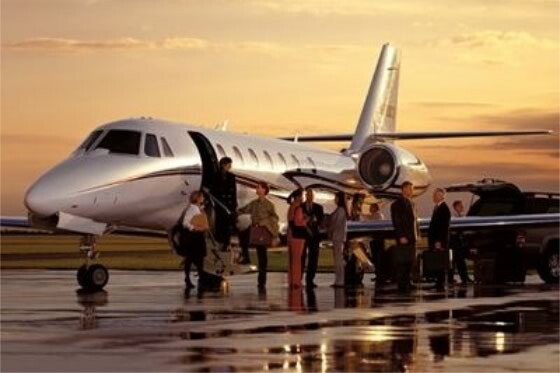 Make transportation arrangements for your private jet services anytime, anywhere. Call toll-free, fax, or email 24/7 for reservations, account status, and itinerary updates. For Professional Corporate Transportation trust the experts. Call or Email us today! VIP Transportation Group is a full-service luxury ground transportation company providing Worldwide Executive and Leisure Chauffeured Transportation Services 24 hours a day, 7 days a week. Copyright © 2018 VIP Transportation Group of Orlando, Florida, LLC. - All Rights Reserved.